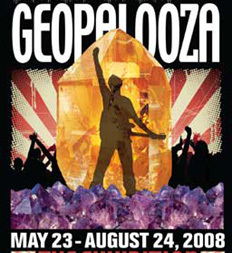 Spotlighting all manner of the Earth’s natural treasures in a groovy environment, Geopalooza! A Hard Rock Anthology was the ultimate rock experience. On view throughout the summer of 2008, this special exhibition was a rockhound’s psychedelic dream made reality.